While working with the different tutorials for adding control in the customizer, I found that particles js in Genesis also deserve a place in the customizer. The idea was to make the particles js customization easy for everyone and for that it was needed to add the settings in customizer for custom jquery code to init the particles-js function. 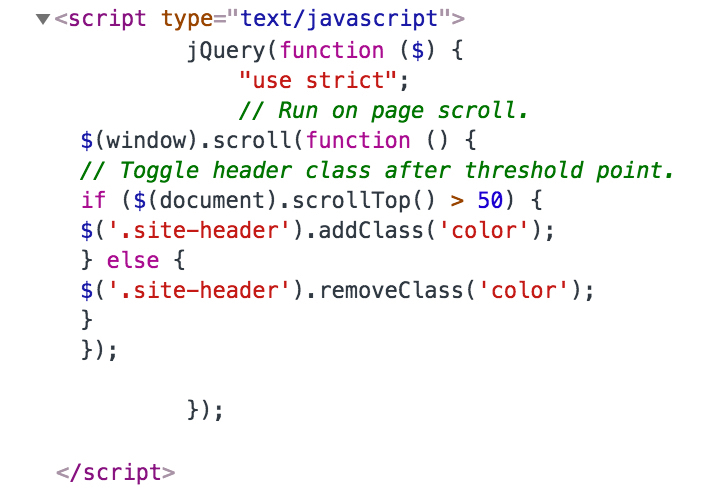 So, I thought to give a section for additional jquery similar to additional CSS in default WordPress Customizer but having no luck, Posted in GenesisWP slack group and within a hr Lee Anthony came with a perfect snippet with syntax highlighting as an added bonus. This tutorial will be useful in many cases when you have to init some functions having different customizations. The first thing we need to do is to register an action using customize_register and create a function to output the custom section, setting, and option mentioned in the article Working with the WordPress Customizer. //* Do NOT include the opening php tag shown above. Copy the code shown below. * Adds an Additional JS setting to the Customizer. before closing } the function registered with ‘customize_register’ action. Paste this. Once the section has been registered, we need to output the value on the site. You can choose any location but preferred recommended in the footer. * Outputs Additional JS to site footer. Use only one as sometimes one custom js will not work. 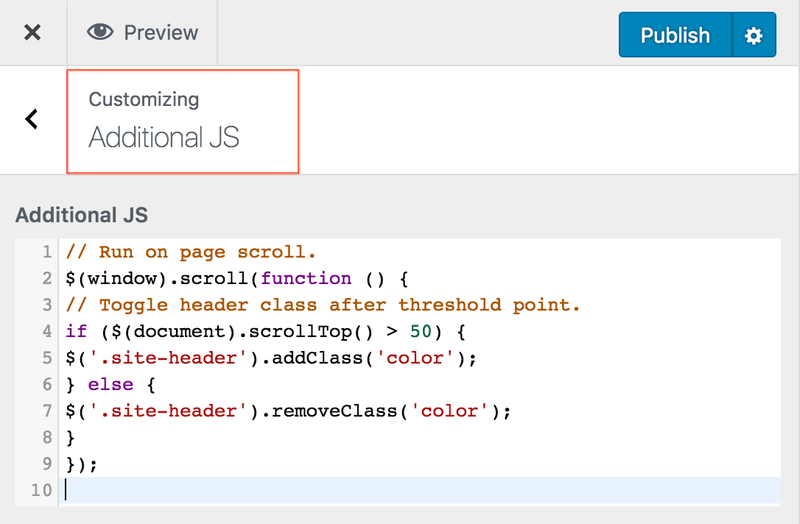 We can also target the function to be only executed on a specific page using conditional tags. Where to use and Why? When you want to add some jquery script using customizer. When you want to show a script only on a specific page mostly front page. When you have to test some jquery codes quickly. Where am I going to use it? I will use this in upcoming tutorials as already mentioned at the beginning of the article.nHere are the tutorials where this snippet made a recognizable presence. Hosting You are looking for?. Perfect solution for small business to global enterprise. Creative, SEO rich Theme for all niche projects.